This conference celebrates and explores the complex and rewarding interaction between psychodrama and other schools of therapy. To this end members of the BPA have submitted workshops that make these links. The Conference Committee also invited senior professionals from other theoretical schools to present workshops and a master class in their particular area of expertise. Why do you think a knowledge of attachment is so critical to professionals? The theory of attachment (developed by John Bowlby) and the closely associated concept of mentalisation, now provide perhaps the predominant psychological explanation of human personality development and the nature of relationships, a position previously held by psychoanalysis. Attachment theory considers how an infant forges an interactive bond with a care-taker (usually the mother) who provides the child with a ‘secure base’ at times of physical risk or danger or emotional stress. Through this process the child finds safety but also forms an ‘inner working model of the world’ which is used in the formation of future relationships. Patterns of attachment can either be ‘secure’ in which the individual has a basically trusting view of the world and the security that may be found in relationships or ‘insecure’ in which the child has developed strategies to cope with an unpredictable or relatively absent ‘secure base’. Whilst a significant proportion of the population fall into ‘insecure’ attachment types they function in the world. Those with more insecure attachment types may have significant personality difficulties (or disorders) forming complex and dysfunctional relationships, problems that may cause them significant difficulties in society and have a very negative impact on their capacity as parents. 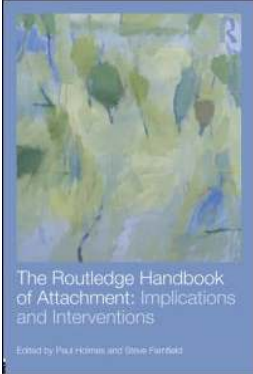 Thus a knowledge of the attachment process is of significant importance for those working or living with people, be they mental health professionals, lawyers, teachers or parents. The Embodiment of Memory: Integrating Psychodrama with Contemporary Attachment Theory. have the opportunity to respond in pairs and small groups to several questions from the Adult Attachment Interview. These questions mainly relate to early life relationships and the sense we make of them. After a brief introduction to memory systems and Crittenden’s Dynamic-Maturational Model of Attachment, there will be time for one or more short psychodramas that emerge. Please come prepared to participate. Relevant to all levels of experience. 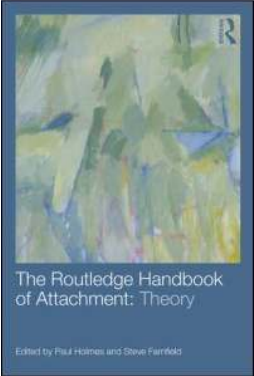 Handouts will include excerpts from Clark Baim’s new chapter on the integration of attachment theory and psychodrama, in Empowering Practice: Integrating Psychodrama and other Therapies (2014). Mario Marrone in his Master Class will explain how an understanding of attachment theory (from Bowlby’s original contribution to recent developments) may offer solid grounds to affirm psychodramatic theory and technique. The second edition of Mario Marrone’s book Attachment and Interaction was published by Jessica Kingsley in 2014. This is a unique skills based Masters programme offering you training in validated procedures to assess attachment behaviour in children and adults as well as training in bio-physical measures such as EEG, cortisol and heart rate. The course is based on Dr Patricia Crittenden’s Dynamic Maturational Model (DMM) of attachment and will enable you to conduct and apply research based measures in a clinical, practice or research based context. attachment and /or want to develop their research. Attachment theory and research has focused on dyads, particularly mothers and their infants, to the point that it can sometimes appear as mother blaming. At the same time attachment thinking underpins many, if not most, therapeutic interventions although the evidence that ‘attachment therapies’ actually help people become more securely attached is at best patchy. 1. To get beyond the dyad by offering a brief review of attachment studies in the context of family systems. 2. To consider the effectiveness of current therapeutic approaches in changing child and adult attachment strategies and whether this is actually possible or even desirable. The workshop will use material from the Adult Attachment Interview, the Meaning of the Child to the Parent Interview together with video examples of parent-child interaction. Case vignettes will include scenarios from child maltreatment and adoption. 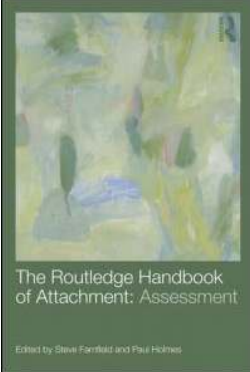 He is co-editor (with Paul Holmes) of the three volumes of the Routledge Handbook of Attachment published 2014.